Shepparton is only a two hour drive from Melbourne and a great place to base yourself, while exploring all that the Goulburn Valley and surrounding areas have to offer. 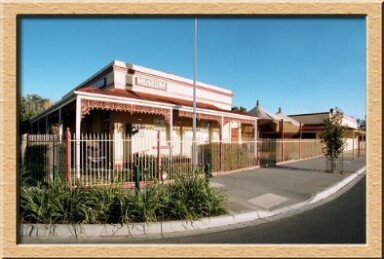 To the west and a 20 minute drive away we have the town of Tatura, where seven prisoner of war camps were situated around the area during World Ward II, plus the city of Bendigo a further hour’s drive which was formerly one of Victoria’s boom-towns during the gold rush era. Within an hours’ drive north we have towns on the Murray River bordering NSW, like Echuca/ Moama, Yarrawonga/ Mulwala, Cobram/ Barooga where you can enjoy leisurely walks along the river, ride on an historic paddle steamer, and learn the history of the areas. East of Shepparton and a 50 minute drive is the town of Benalla, situated on the Broken River and well known for their 19th century Rose Gardens. 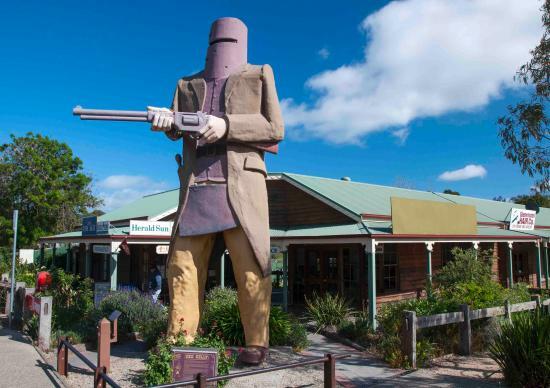 Drive a further 27kms from Benalla and you will enter the small town of Glenrowan, where you will see the 6 metre statue of Ned Kelly and hear the tales of the Kelly Gangs last stand. To the south head toward the charming tree lined streets of Violet Town, well known for its thriving monthly markets, then onward to the heritage town of Euroa, where Ned Kelly once roamed the ranges around the area. Further south is Seymour located on the Goulburn River and back towards Shepparton, be sure to call into the picturesque town of Nagambie the home of Black Cavier and a popular wine region.